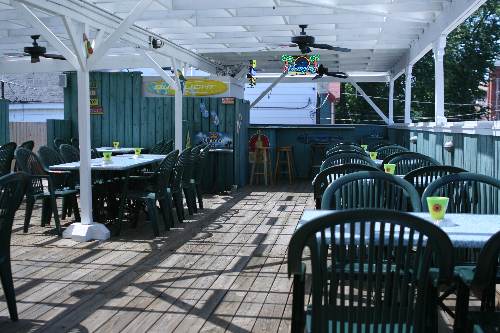 Our facilities include a 22 foot bar, indoor seating and dining facilities for 114 people and an outdoor deck that seats 52, complete with it's own bar. Whether it is lunch, dinner, a company meeting, birthday party, graduation, wedding rehearsal dinner or a casual night out with friends, we can accommodate your needs - including reserving the deck for private functions. Our hours of operation are Monday - Saturday 11:00 AM until 1:00 AM. Full menu available all day, evening, and night. The bar has live entertainment every Friday. Check the entertainment page for the schedule. Joe comes from a family of eight boys and one girl. He was raised on the family sixty acre dairy farm in Garristown, Co. Dublin. During his youth, he played Gaelic football for Garristown. Shirley comes from a family of two boys and two girls. She was born in Dublin and moved to Mullingar, Co. Westmeath at a young age. Being the daughter of an Irish dancing teacher, she traveled all over Ireland and the U.K. competing and performing. We immigrated to the United States on September 17, 1985 and became U.S. citizens May 19th, 2000. October 16th, 2001 we accomplished our dream and opened A Piece Of Ireland, which we proudly owned and operated for 9 wonderful years. We closed A Piece of Ireland on October 16th 2010 to concentrate all of our efforts on Sheridan's Irish Pub. 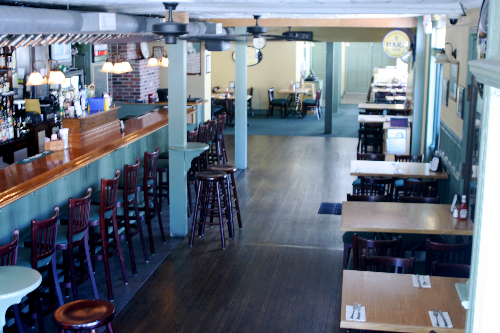 In December 2004, we opened Sheridan's Irish Pub in Smyrna, Delaware. We invite you to come and experience the traditional Irish atmosphere. We offer a variety of traditional Irish and American cuisine, along with a large selection of Irish and domestic beverages.